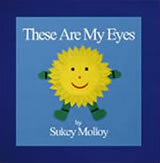 I Sit on My Chair - Sukey Molloy! As a developmental movement educator I study many forms of movement, and in particular am interested in exploring gestures and postures. Did you know that the movement vocabulary we acquire by age 10 is the one we will take through life? Children need to explore many different ways of moving in order to build a rich vocabulary in the developing years. In my Sukey’s Circle! 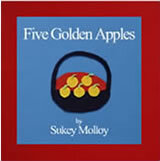 DVD series, I use I Sit on My Chair to invite children to explore different ways of moving and sitting on a chair. I recommend they ask an adult to accompany them while they play with the different movement postures, and I invite you to move along with them! It’s a fun activity to try together as a family. 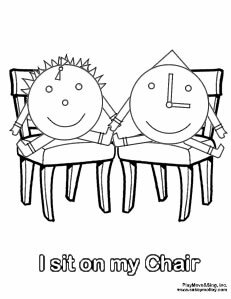 You can purchase I Sit on My Chair, along with my other Sukey’s Circle! videos (Volumes 1, 2 & 3) on Amazon, and on my website. You can also download my new ‘Coloring Page of the Month’ by clicking on the image below. 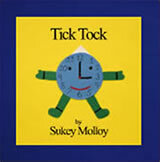 Sunny and Tick Tock love sitting on their chairs! 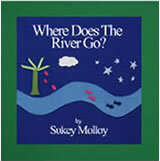 If I Were a Tree Where Does the River Go?